Today Virginia Clark, the Artistic Director of the Wolfe Island Musicfest 2009, released the 2009 line-up on CBC Radio3. This year’s festival will be taking place Aug 7th and 8th and a weekend pass goes for $50, which includes camping. Per Virginia these are only a few of the confirmed ones (minus the two our three I missed) and there are still many more to be added to the show. 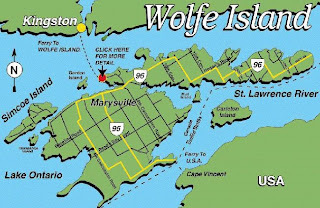 I went to the 2008 Wolfe Island Musicfest, had an amazing time, and will sure to be back this year. You can also hear the interview with Virginia Clark.